Along the forest roads of the Umpqua National Forest are hidden gems to be found; glittering waterfalls, beautiful pools of glacier-turquoise water, and streams covered by layers of deadwood and moss. 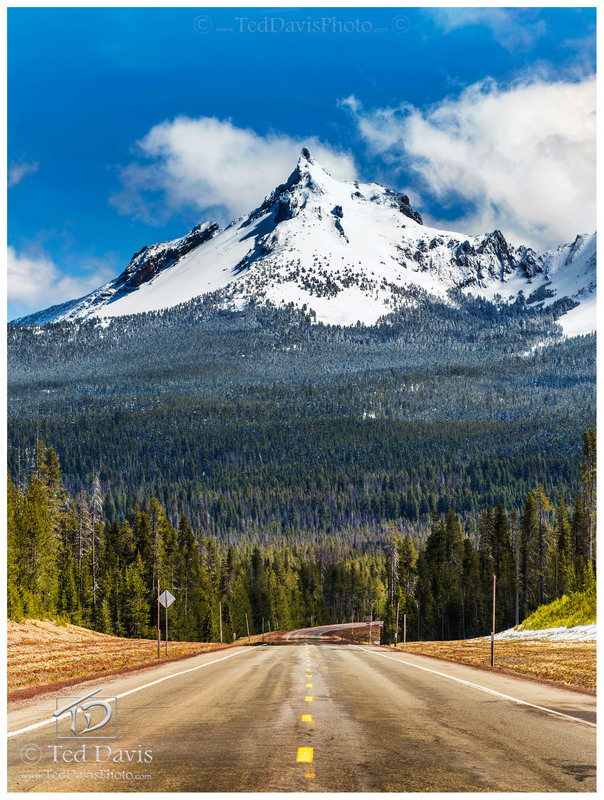 Driving down the Diamond Lake Highway is an incredible experience – a route to explore in the blossoming spring. Although Mt Thielsen is not a ‘hidden’ gem, the extinct volcano draws your eye as a flame draws the moth. In this scene I find a certain majesty gazing down the long road and seeing such beauty in the distance, just out of reach. Photo © copyright by Ted Davis.